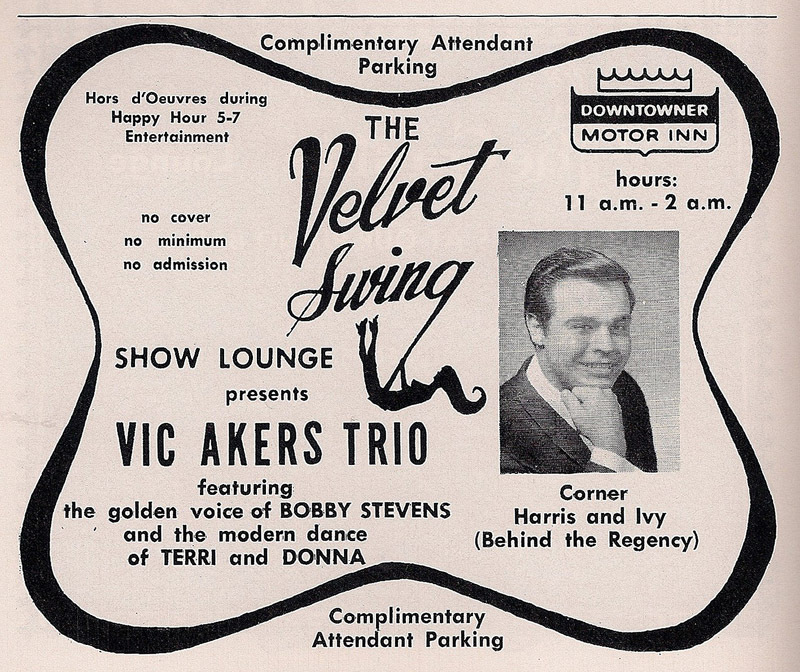 Founded 1958, in Memphis, Tennessee, the Downtowner Corporation built and operated all of its own motels. Every Dowtowner Motor Inn was located downtown and offered a no-fills, cheap place to stay for the night. The Downtowner locations were strategically placed near a large hotel or convention center in hopes that business would spill over in their direction. It worked. The Rowntowner Motor Inn brand was introduced in 1967 to designate locations more in the suburbs than downtown. American downtown life declined heavily in the late 1960/early 1970s. Businesses, hotels, everything was moving away from the downtown area. The hotels were struggling to stay afloat and so was the Downtowner chain. This 1968 brochure was printed right at the beginning of the chain’s slow, downward turn. The company was sold to Aetna Life and Casualty Insurance in 1971 and sold again the next year to Perkins Pancake House. The company’s headquarters moved west. In 1973 the company was sold again for a third time and two years later a fourth time. Twenty plus locations remained open through the eighties when the company was sold yet again for a fifth and final time. By 1993 there were only two locations left. Now there are none. The locations below are what was listed in the 1968 book. A red link means the building is gone and a blue link indicates that the motel still stands under a different name. The postcards and clippings below will directly underneath the location posted. S. Orange Ave. & Jackson St. Combined advantages of Motel and Hotel facilities in a Downtown location. 112 Spacious rooms – Color TV – Swimming Pool – Free Parking – Free Phone-A-Towner reservations to other Downtowner, Rowntowner Motor Inn and Royal Coach Inns. We are located between Lincoln’s Home and Lincoln’s Tomb. 155 air-conditioned rooms with TV, Musak, pool, direct dial phones. In the center of town, 5 blocks from UK. Bar and restaurant. Downtown Muskegon, Michigan, northbound business route US-31, I-96 and M-46. 104 Rooms, dining, Cocktails, Swimming pool, Meeting and conference facilities, Color TV. Eleventh Street, Highway 49 and 82 By-Pass 76 Units – 1 1/2 Miles SW on US 49-82 By-Pass – Two-Story Motel – TV, A/C, Phones-Combination Baths – Pool – Dining Room and Cocktail Lounge. Luxurious travel – living in the center of things – Walking distance to business – shopping – entertainment facilities. Spacious rooms – Free TV – Swimming Pool – Free Park – Free Reservations Service to All Downtowners Nationwide. 155 Broad Street East The beautiful swimming pool at the Downtowner Motor Inn, in the heart of downtown Rochester, New York. Fourth and Cheyenne 93 Guest Rooms – Swimming Pool – Restaurant and Meeting Rooms. Jct. I-95 & U.S. 301, Manning, S.C.
100 rooms, connecting units, individually controlled heat and air conditioning. Color TV in every room. Direct dial phones, 2 heated pools, restaurant and lounge. Credit cards welcome. Near Lake Marion. 1719 Central Ave. Cheyenne’s newest and most modern motor hotel – 88 air conditioned units – Famous Pancake House Restaurant – Dining room – Bar and lounge – Heated Garage – Parking free – Enclosed year around swimming pool – Banquet & meeting rooms & free television and Hi Fi. In the heart of Downtown Cheyenne, 1719 Central Ave.
Would any one know who the original owner of the Sumter location was?